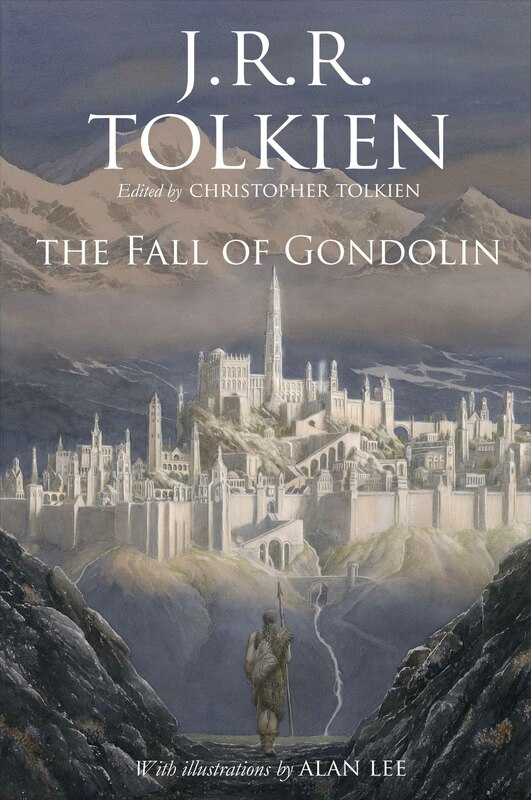 Edited by Christopher Tolkien and illustrated by Alan Lee, The Fall of Gondolin will follow the same format as Beren and Lúthien published last year, separating out the story so that it stands alone while showing how the narrative evolved over the years. This is the first time the tale of the Fall of Gondolin will be published as a standalone edition, collecting all versions of the story together. We never dared to dream that we would see this published. 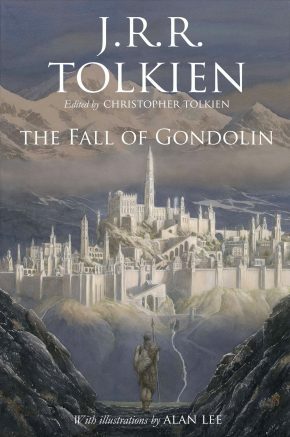 The Fall of Gondolin is, to many in the Tolkien community, the Holy Grail of Tolkien texts as one of Tolkien’s three Great Tales alongside The Children of Húrin and Beren and Lúthien. This beautiful story captures the rise and fall of a great Elven kingdom, taking place millennia before the events of The Lord of the Rings. This book brings all the existing work together in one place to present the story in full. The Fall of Gondolin was the first of the tales of the First Age to be composed—the earliest text was probably written during Tolkien’s convalescence at Great Haywood, Staffordshire, early in 1917. This version is the only full account of the story and belongs with ‘the Book of Lost Tales’, the earliest phase of Tolkien’s mythology. A compressed version of the story was written between 1926 and 1930 to bring it into harmony with the now much changed ‘Silmarillion’. Much later, probably in 1951, Tolkien began work on an entirely refashioned account that comes to an abrupt end once Tuor reaches the hidden city of Gondolin. Christopher Tolkien described his father’s abandonment of this text as “one of the saddest facts in the whole history of incompletion” (The Book of Lost Tales Part Two, p. 203). The Fall of Gondolin will run to 304 pages and be published in hardback, deluxe hardback, large print and e-book on 30 August 2018. The book will be published in the USA by Houghton Mifflin Harcourt and in other languages by numerous Tolkien publishers worldwide. HarperCollins also announced that the official Tolkien Calendar will feature paintings from the book and will be published on the same day. As with the publication of Beren and Lúthien last year, the publisher will host a series of launch events featuring Alan Lee.